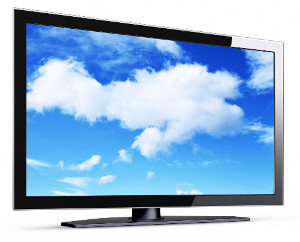 Orbit Technology is your local source for in shop service of all brands of LCD,LED,and Plasma Televisions. With a reasonable estimate fee and quick turnaround time, why not consider repairing rather then replacing your flat screen television. For a small estimate fee of $37.50. We will check all the components inside your television to make sure it is functioning properly. We can test out the power supply, capacitors, mainboard, IR sensors, remote control, LCD panel, T-con board, and Inverters inside your LCD or LED television. Once we determine the problem we will get you a quote on the cost of the repair, if you opt to repair the television we will apply the $37.50 fee to the total repair cost.